How many times do we travel to cultural sites and we think we would love to know what is the story behind each monument or work of art? When we travel what we are looking for are experiences that enrich us, that open our minds, that disconnect us from our routine and lead us to live unforgettable moments. This is how the concept of Freetour emerged in 2005 in Berlin, with young and trained boys who decided to offer tourists a friendly way of understanding what we are visiting and, moreover, adapted to all audiences and pockets. It is played with the “free” concept which means both free and free in English. The tour is not exactly free, since at the end of the tour each person is “free”, that is, free, to value the tour according to the degree of satisfaction. 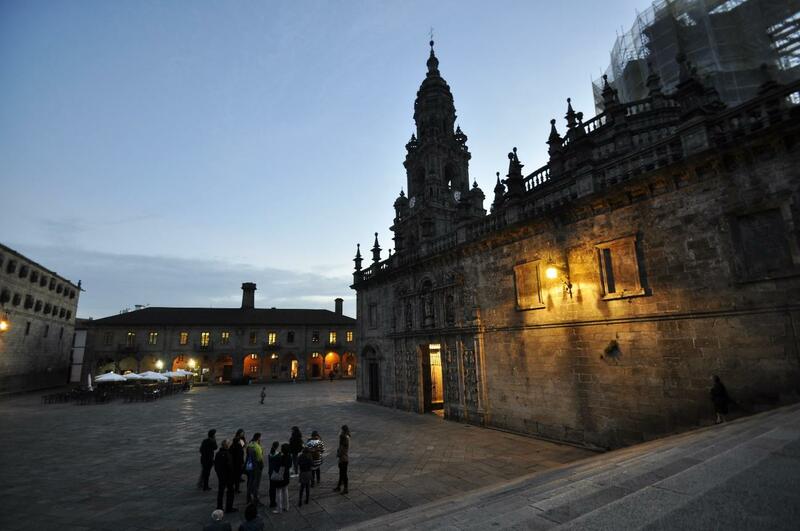 So, Santiago de Compostela, as it could not be otherwise, has daily freetours at 10:30 and at 5:30 pm that teach visitors the amount of stories, anecdotes and legends that are found behind every corner of the city. Old Town Understanding why the capital of Galicia is so important, why so many pilgrims arrive every day to the famous Plaza del Obradoiro or discover what is the typical Galician cuisine are things that can be learned with the Freetour. However the goal of this entry is not to reveal all the wonders of Santiago and Galicia, but to encourage everyone who reads it to be encouraged to visit our wonderful city and decide to make our famous freetours, because we are sure that we will not disappoint and, what is more important, that your experience as visitors will be complete. We will be every day in Plaza del Obradoiro at 10:30 and 17:30. You have to look for white umbrellas!